ARGES ARITMA MAKİNA LTD. ŞTİ. 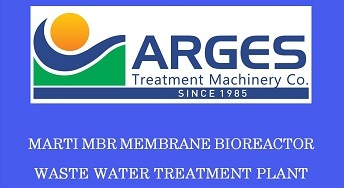 ARGES is a company that inclusively specializes in the sphere of WATER and WASTEWATER treatment. Diversely involved with sustainable human progress and the survival of species, our products protect and enrich natural resources. ARGES utilizes environmentally friendly industrial development. 90 % Reduction in sludge volume with low consumption of operating agents. No pick up problems when filtering fast settling slurries. 25.09.2017 We were delighted to welcome you at our stand on AQUA UKRAINE Exhibition in UKRAINE. 16.05.2017 We were delighted to welcome you at our stand on EXPO-APA Exhibition in Romania.